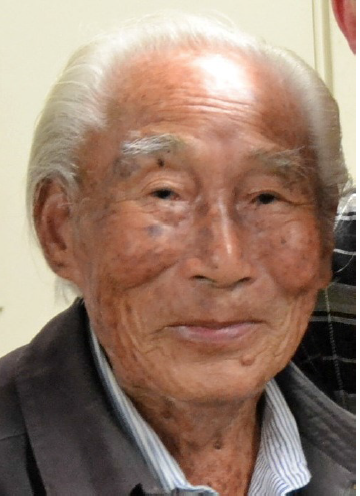 Harry Hirao, friend, teacher and mentor of countless enthusiasts of bonsai and suiseki, passed away on July 23, 2015 at the age of 98 years. A kind, gentle man known for his generosity, Harry looked forward to his visits to San Diego Bonsai Club every March on his birthday and demonstrating on one of his collected California junipers. Harry took pleasure in taking his students and friends to dig California junipers. Every tree digging trip was a great adventure with everyone hoping to find a master-piece just over the next hill. However, if you did not find a tree, he was sure to find one for you to take home. Harry Hirao is known and respected world wide in the bonsai and viewing stone community. During his lengthy career Harry received numerous awards . He donated a masterpiece bonsai to the John Y. Naka North American Bonsai Pavilion, National Arboretum, Washington D.C. and San Diego Bonsai Club’s Safari Park Bonsai Pavillion. Harry also donated viewing stones in honor of his beloved wife, Alyce, to the National Bonsai and Penjing Museum as well as donating to the Huntington Library, Harry Hirao Viewing Stone Courtyard. Harry Hirao leaves a great legacy of beautiful bonsai and suiseki, but more importantly, he leaves many, many friends.